Monday - Cocktail shrimp, cocktails sauce, cheesy potatoes, or dirty rice. Tuesday - Homemade from scratch mashed potatoes and meatloaf plus green beans. Wednesday - Sirloin stir-fy with broccoli, bell peppers, onions, celery, tomatoes, and mushrooms served over a bed of long grain rice. Thursday - Guys night out. 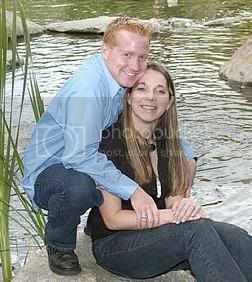 Girls will probably go to Jason's Deli. Friday - Holiday party at preacher's house. We'll make a meal of appetizers, salads, finger foods, and desserts. Saturday - I'm not cooking, am I? I have a turkey to roast and dressing to make, but that's for Monday next, I think. 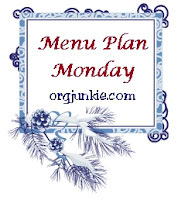 Hop over to organizing junkie to see a feast of menu plan mondays! sounds like another VERY yummy week!! !